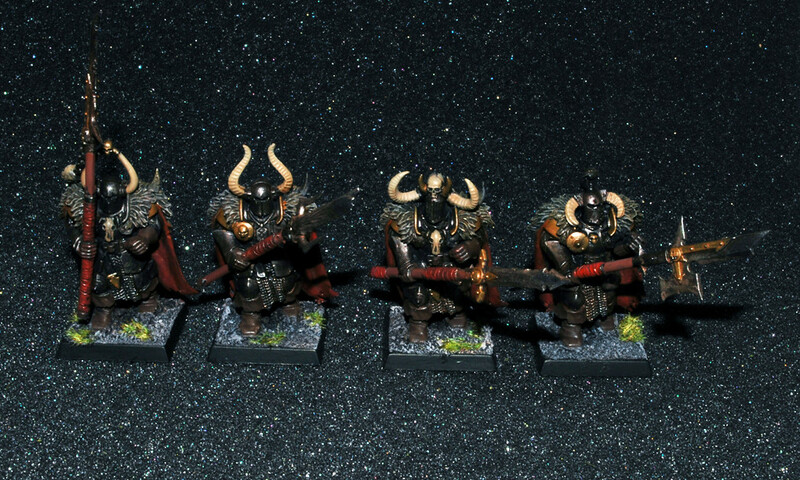 Another commission! 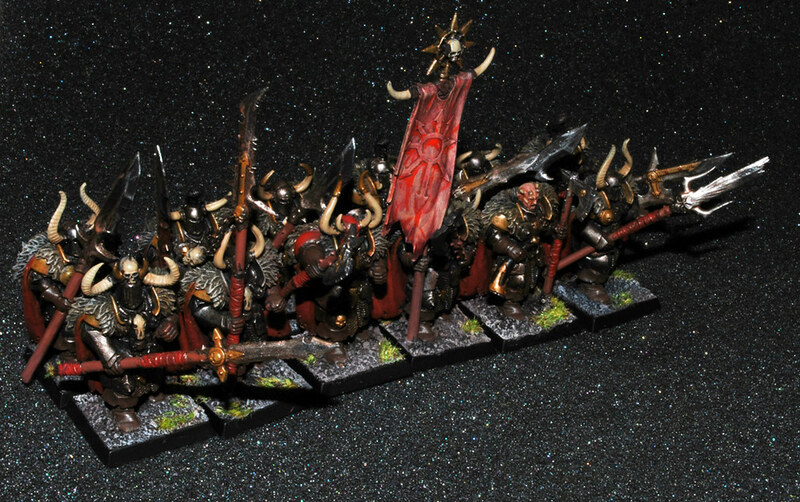 This time a purely Khornate Warriors of Chaos army. 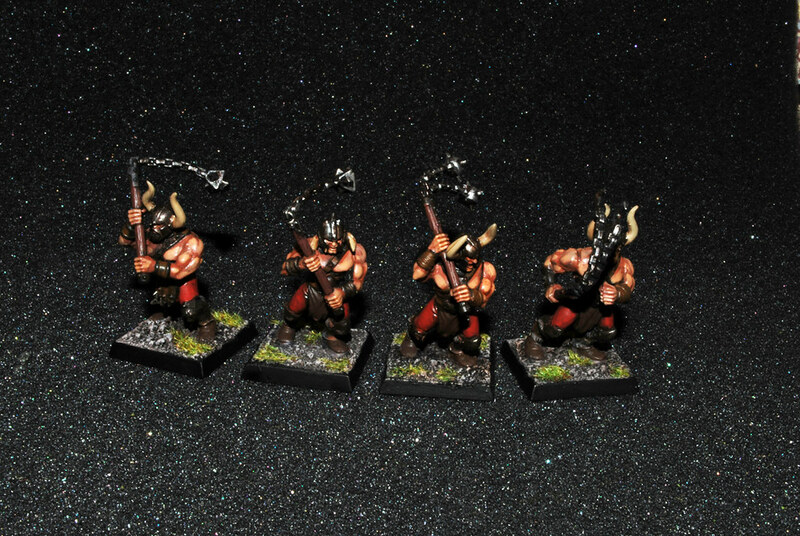 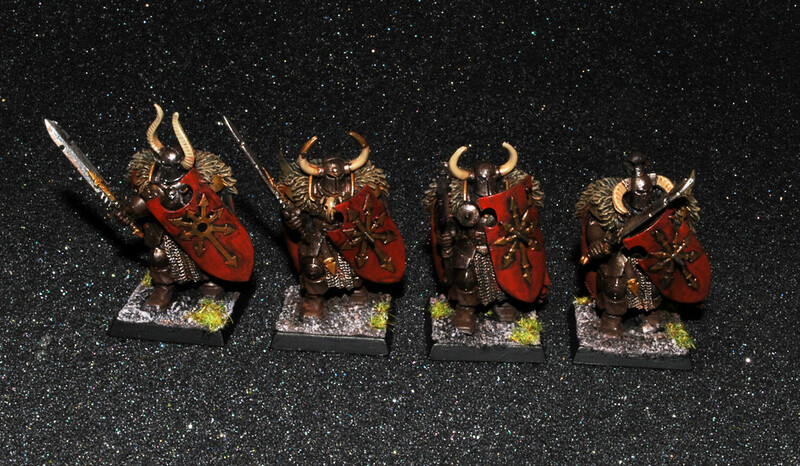 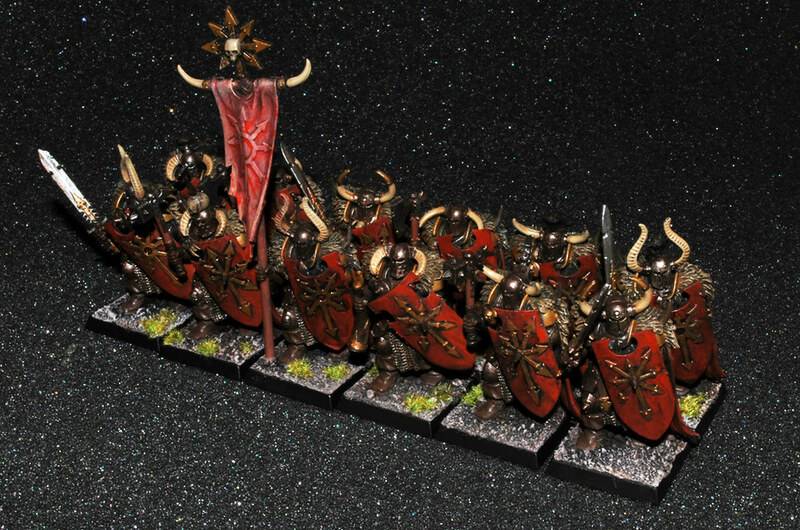 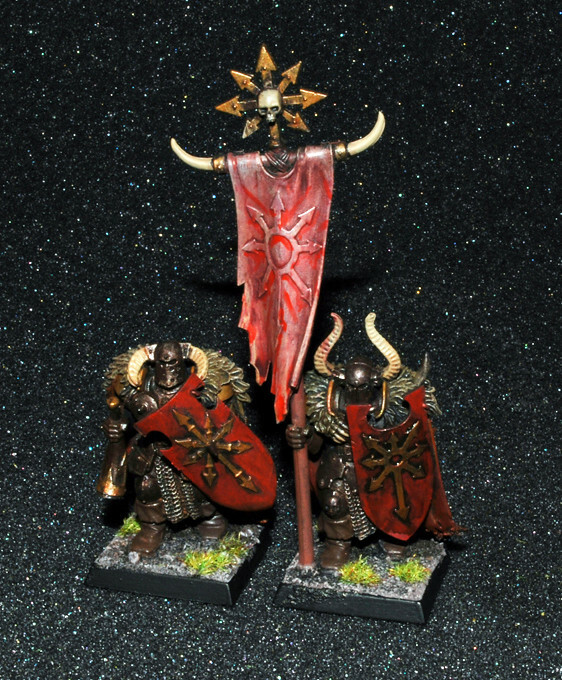 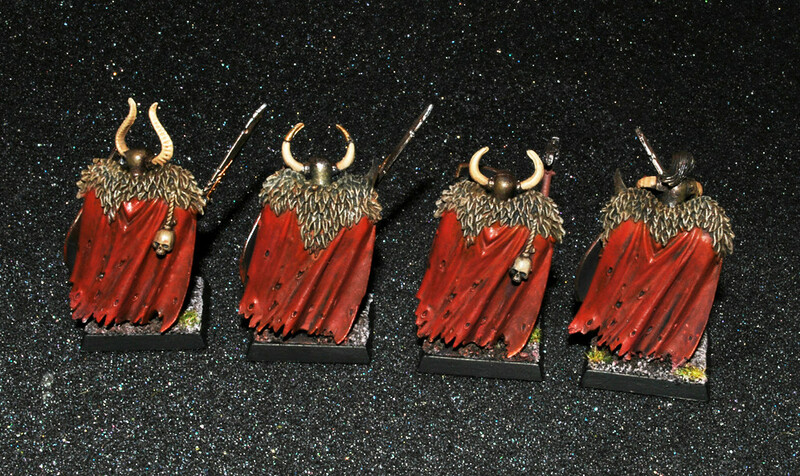 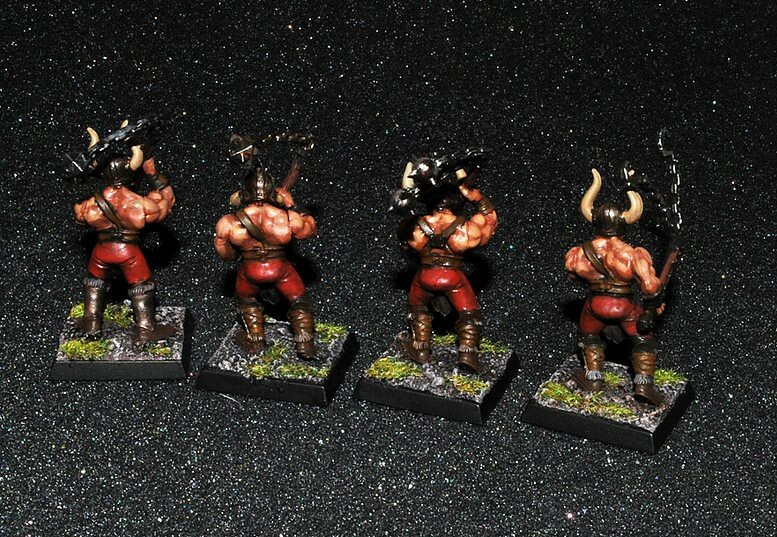 Including converted Halberd unit and flayed flesh banners.